Being a student of Health Informatics at the Karolinska Institute has introduced me to a number of interesting concepts. 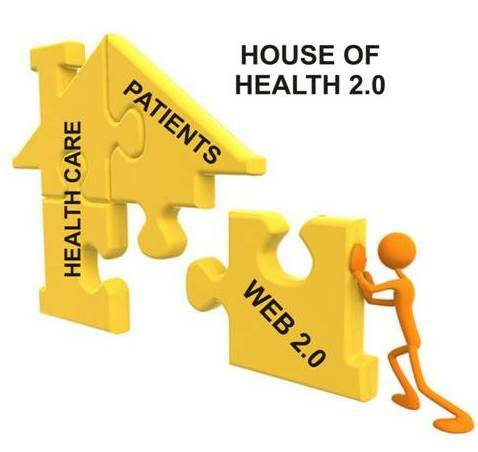 Already during our very first week in August of last year, we heard about “patient-centered healthcare”, “shared decision-making” and “patients as co-creators of health” and to a highly opinionated and severly inquisitive patient such as myself it is quite simply music to my ears. It was simply a match made in heaven and me and my student colleague with MS (yes, what were the odds of TWO highly opinionated and severly inquisitive brain disease victims actually ending up in the same class….) had a wonderful time asking our teachers to elaborate on the patient perspective to the point where I would guess our more normal classmates of medical and computer backgrounds from all over the world probably wanted to smack us to make us keep quiet. more equal sharing of responsibilities within healthcare by acknowledging the patients expertise and experiences of their illnesses and collaborating to give all stakeholders a better outcome. To me this is the only way to meet the increasing burden of illness in the world and I am certain the “revolution” is just starting. See you on the barricades! Last year I did the the bravest thing I have done in my life. And to me being brave has very little to do with exposing yourself to all sorts of life-threatening activities such as parachuting or bungee-jumping or even riding a bicycle down a ski slope in Slovakia in the summer (one of my friends has actually done this…). Well, I guess these things are also brave in some sense, but most of the time they just seem unnecessary… at least to me, but then again maybe it just comes with the territory of having a movement disorder. To me courage has to do with following your heart even though you don’t know what will be. I read a quote from some old Greek last year and it goes something like this (if you think the translation is a bit dodgy that might be because it has been translated from Greek to Swedish and then to English): “Where you talent and your passion meet the needs of the world, there lies your calling”. I have found my calling. I am just about to finish my second semester at Karolinska Institute in Stockholm studying Health Informatics (HI). HI is simplified all use of information and communication technology within healthcare in the broad context and here lies my calling. I want to use HI to empower myself and fellow chronic disease patients by giving us tools for understanding our situation better, tools for more effective communication with our doctor and nurse and tools for education. Education of ourselves, education of healthcare professíonals, education of our near and dear as well as awareness for everybody. In my point of view, this is the only way healthcare can meet the increasing number of chronically ill without having the cost spiralling totally out of control. The only way is to give patients the choice to contribute if they want to, to allow patients to take responsibility for their own health, for their own care. I am not saying this will be easy, but that is not a reason for not trying… We will all have to be brave and then the sky will not even be the limit! My previous blog ended: “I did not get back to them”, and I did not. However, my mother did. In my medical record I found that exactly 2 years after my first visit, my mother called the clinic, worried about my deterioration. I was given another examination in October of 1989 and in the record I can see the professor’s words: “…at the exmination today, as previously noted, a dystonic cramp is observed… relatively distinct extrapyramidal symptoms…. dystonian in nature….”. I was sent to a number of examinations: MRT, eye exam, EEG… My memory from this occassion is that the professor said that “well, now he could see that I did have some sort of neurological problem and it was probably something called generalised dystonia”. His assessment was that the symptoms were not difficult enough as to justify medication at this point. At my visit the day before my 20th birthday, he saw fit to give me my first medication and when starting taking it, I felt like a completely new person. For the first time in literally years, my body actually responded to commands, I could walk as a “normal” person. I felt strong, happy, I felt truly alive! The initial boost-effect lasted about a week. The medication still had an effect though, it was just not as strong as in the beginning. I got on with my life, at the time being a student of chemical engineering, tried my very best to see the positive things in life. Which was actually not very difficult, seeing I was in love :-). I had just met the man who 17 or so years later became my husband (as well as the father of my child… although since that happened before marrying, let’s not make a big deal of that…). This was in the early days of the internet (yes, I am that old…) so I did my fair share of searching for information on this mysterious disease (a disease that for some peculiar reason responded positively to medication for Parkinson’s Disease… who would have guessed…). Generalised dystonia was the first diagnosis I was given for what troubled me… but not the last. I think I was around 13 years old when I first realised that my body did not function the same way as others’, I might even have been younger. I remember sitting on a chair in a school, community centre or something similar in the village of Ängersjö in the north of Sweden listening while my relatives played their dance music with violin, accordion and vocals. It might have been the winter break and my family were in Härjedalen. The music was good and people were tapping their feet with the rhythm. I tried to follow their example, but I remember my surprise when my ankle refused to respond. I did my best to hide it so that nobody would notice. Years passed and more things were gradually added to the list of things I had trouble doing: Why were my wrists so difficult to move? Why did I sometimes find it very hard to balance my bicycle? Why did I have such a hard time at physical education at school? Why did I move so slowly? Why were my muscles so tense and refused to relax? I think that subconsciously, I chose to cope with the non-compliance of my body by asserting myself intellectually. My mind could take me where my body would not. I read constantly, I read everything I could find and I read faster than anyone else. I did not get back to them.